What Happens When You Are From a Different State and Get a NC DWI? Many people visit Charlotte, North Carolina for both business and pleasure. Others are moving here to enjoy our growth and great standard of living. In short, Charlotte is booming. Construction of new homes, condos, apartments, and businesses has rebounded here. As a result, we are also seeing more DUI arrests of persons from different States as well. Because different States have different DUI laws and consequences, there are usually consequences in both if convicted of a DWI in North Carolina. These cases are always more complicated. Besides the obvious inconveniences of living in another state and having to travel to go to court, there are several potential legal issues that can arise when charged with a North Carolina DWI. Because Charlotte, NC is a great business and vacation destination, we have had clients from almost every part of the United States. First, we have to deal with the DWI charge here in North Carolina, and then, we have to counsel our clients about possible ramifications with their license back home. 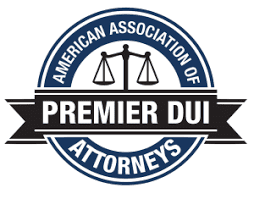 Each State’s DUI or DWI laws are similar but can have critical differences. The differences usually involve how long a license will be suspended and under what circumstances. A DWI conviction in North Carolina may carry additional penalties, including a requirement that a person complete an alcohol assessment and substance abuse treatment. Some states may even impose fines or other DMV penalties, and there may be even harsher consequences if a person refuses breath or blood testing as part of their NC DWI arrest. Charlotte NC DWI attorney Robert J. Reeves is licensed to practice law in North Carolina and South Carolina. As we are located here on the border, we encounter this situation frequently and can advise you on these two states. For other jurisdictions, we have to respectfully direct you to consult with a local DUI lawyer licensed in your home state. First, let’s review the distinction between a “driver’s license” and “driving privileges.” You can legally be a resident of only one state, but you can live and work in multiple locations. For example, many of our clients are residents of South Carolina (for its lower taxes and great schools) while they work here in Charlotte (for higher wages and better job opportunities). They have South Carolina licenses and tags on their vehicles. If arrested here in Charlotte for a DWI, their driving privileges in North Carolina will be affected immediately, but their driver’s license from South Carolina will not. That “piece of plastic” issued by the SC Department of Motor Vehicles actually belongs to the state of South Carolina. Police officers are actually supposed to return an out-of-state driver’s license as they have no legal authority to keep it. (In practice, this does not always happen. However, if this happens, we can get your license released by the Clerk’s office.) It is outside of their jurisdiction. The only driving privilege or license that can be properly suspended for a DWI arrest here is a North Carolina one. In other words, you can still legally drive in all states other than North Carolina, unless your particular residence has laws that are different. Of course, your home state may revoke your license because of the charge in North Carolina, but that will have to be dealt with on a case by case basis. Again, we advise that you consult a local DWI/DUI attorney back home. When an officer in North Carolina improperly keeps your license issued by another state, you should be able to get a duplicate copy from your State’s DMV. Be truthful to the DMV and do not be clever if asked about pending charges when seeking a “replacement license.” Of course, if you are really anxious about your ability to drive, you can always call your home State’s DMV to find out the status of your license. If you get a DWI in Mecklenburg County, your first court date shown on your charging papers will be on the 1st floor of the Mecklenburg County Courthouse in Courtroom 1130. If you hire our firm, we will appear on your behalf, and you will not have to be present. We will have you sign a “Waiver of Appearance,” which allows us to go in your place. We usually request a second court date in Courtroom 1130 while we gather initial evidence, and again, you will not have to be present at that subsequent date either. The next court date will then be scheduled on the 4th floor (District Court level), and at that point, you will have to make plans to appear. We understand that court appearances will be inconvenient, perhaps even quite difficult if you live far away. That’s why we seek dates at least one month out or longer if possible. Our office will send you a letter with the new date, time, and courtroom number. We also let you know whether you have to be present so that you can make plans accordingly. We do our best to make this process as least burdensome as possible for our clients. After we have collected and reviewed the State’s evidence, we will be in a position to recommend options – trial or plea. The choice is always yours, and we will guide you on how best to make that decision. Even if you elect to proceed to trial, we will prepare for the possibility that you could lose. That means we will suggest that you start building “mitigators” in an effort to secure the lowest punishment levels available under North Carolina DWI law – Level 4 or 5- if you are able to get that (depending on the facts in your case). Each of these levels involves court costs, fines, an alcohol assessment and treatment, as well as 24-48 hours of community service. However, completing the assessment, treatment, and community service may be difficult, if not impractical, if you live elsewhere. There are a couple of ways to build mitigators in your case that may be of benefit to you. The first is undergoing a substance abuse assessment and then completing the recommended treatment. We encourage you to schedule the assessment while you are already here to appear in court. The assessment takes about an hour, and we have several vendors in the area that work with your schedule. North Carolina law usually requires treatment by a local facility licensed by the state. However, if a person lives in a different area and is unable to make arrangements to get treatment in a North Carolina facility, then the facility may approve treatment by an out-of-state facility. It is the same with the community service requirement. While your service is typically performed at a local organization, the judge can put in the sentencing order that community service can be completed in another jurisdiction. We will also need to ask for additional time to complete it. Before heading back home, we will take you to Room 4000 and get you set up with the community service office and make sure your home State has an acceptable program to complete your sentence. SCRAM technology involves a continuous blood alcohol measuring device that can be used to show abstinence from alcohol. It is usually attached to your ankle and is quite sensitive to any alcohol, even certain types of mouthwash. Fortunately, this technology is becoming much more accessible. So now, you simply get this device installed and then monitored by a local SCRAM provider even if you live in another location. SCRAM providers are located all over the country. As long as you pass, the results should be valid here in North Carolina. As we discussed earlier, other states’ licenses can be affected if you plead guilty or are found guilty of a Charlotte, NC DWI. 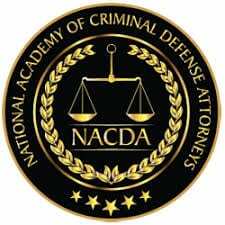 In most cases, no action is taken unless you are ultimately convicted. However, many states will take action through their DMV if one of their residents refuses breath or blood testing in another state. We can certainly advise you on potential consequences here in North Carolina or South Carolina. 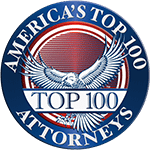 For other states, we defer to a local attorney who practices in this area of law. Try not to worry. We are going to do our best for you here in North Carolina. If we are successful in winning your DWI case, these other collateral consequences may never come into play. First, let us focus on your Charlotte, NC DWI case here.